Appcelerator has published an interesting study on the Apple Tablet. You know, the iPhone OS based one that we will Steve will show us on Wednesday. The study asks some interesting questions revolving around the development side of the tablet. Are developers going to develop for it? What are they looking for? What are they excited about from a technology perspective? Games will still probably be huge on the device, but it is great to see other types of apps at the ready. Even if there is a way to run iPhone apps, it is clear that people will be spending effort creating truly native experiences. There are core differences beyond screen size here. Very different capabilities to take into account. We are seeing an increase in consumer devices. I recently talked about the table stakes of 2010 and beyond. As a consumer it is exciting to see the vision of connected devices become real. As a developer, although there is new opportunity, it is incredibly daunting. How many proprietary SDKs can one learn and fund development on? This is where the Web comes in. 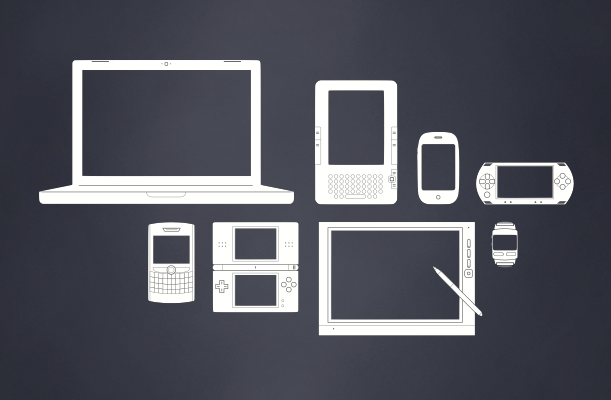 The Web has the potential to become the unifying platform across devices. This isn’t about write once run anywhere, but it is about offering advanced solutions to deliver experiences across the devices using shared code, services, and APIs. Back to Appcelerator. They publish this study right before the tablet launch. Hmm…. something tells me that Titanium (now in mobile and desktop versions) will support Tablet. As companies struggle with the pull of delivering functionality to many devices, Titanium has an opportunity of helping developers out. We have heard that Titanium is going to GA some time soon (probably in March) and we will then see pricing plans and some new products (probably around analytics and metrics). Apparently more desktop and mobile applications will be developed using Titanium than Adobe AIR this year. That would be quite a feat. What are your thoughts on the Tablet and the Web? What did you get out of the survey? To me that reads, “it’s not, but it is” [about write once run anywhere]. I pray we won’t have yet another land grab for proprietary platform app namespace (or a continuation of the iphone one). Someone surprise us with a fully baked w3c device api implementation in webkit core that apple (and google) actually ship so the web truly can be _the_ platform. We’ll probably another year of this bs first though. Im looking to use html5, css3 and hopefully webGL to develop great sites & webapps for the apple tablet. Initially I will focus on that platform, but because of the standards used I would anticipate that apple tablet sites will actually help the push towards html5 etc in the wider world of web browsing rather than get in the way. There is no better example of double standards withn tech community than apple’s closed and prorietory systems (iphone,itunes,appstore). Ten years ago everyone climbed on the bandwagon beating up microsoft for being monopolistic. But not a peep from the fanboys anymore. So here we are developing to several different emerging standards and hoping Apple will throw some crumbs our way. Pathetic. @sartre: Apple has always been worse than microsoft. People put up with it from apple because they can leave apple any time they want (really, they can!). Personally I think it hurts their bottom line. I’m sure they could make more money by being “the good guy” to their customers. Despite Apples control freak gatekeeper nature, when it comes to the web side of things I dont think they have done much harm. For example when they did stuff like css transforms, they played nice by offering it up for inclusion in proper web standards. Webkit is good and their resistance to flash on the iphone may end up helping the standards-based web. Yes they impose limits on users and native app developers for iphone, yes the success of their app store has some unpleasant implications, but from a web-developers point of view there is not so much to hate and its hard to compare them to microsoft considering the harm ms cause with their browsers and more recent stuff like silverlight. @rdza – I think the idea is that even though you can’t necessarily use exactly the same code and expect it to run perfectly on all platforms, because it’s all web stuff it’s at least reusable. Even if you could only get 50% reuse between platforms, that’s more than you’d get if you use the native language/API for each platform. I imagine that between mobile platforms, you could get higher than that, but because of the tech used, it can even be reused on the desktop and the browser. So Apple are trying to sell half a laptop now? Who’s going to buy *that*? I think that is cool and the upcomming api developments look really interesting.